The workers compensation system in Colorado can provide essential benefits to people who have been hurt at work or who have developed an occupational illness. 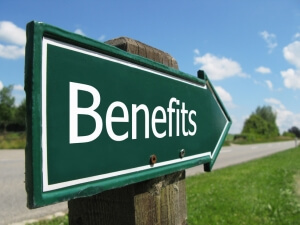 This system and the process of getting benefits, however, is known for being complicated – and one of the main reasons for this is the various strict deadlines that have to be met when filing claims and pursuing benefits. To help simplify the process a bit, below is a general timeline regarding Colorado workers’ compensation claims, when they have to be filed and how they usually proceed. Here’s a timeline of what has to be done (and by whom) to file/process CO workers’ comp claims, a Denver workers compensation attorney explains. ASAP/immediately – Fatal workplace accidents have to be reported to the Colorado Division of Workers Compensation (DWC). 4 days – Injured workers have to submit a written report regarding their accident or injuries to their employers. 10 days – The injuries/incident has to be reported to the workers’ comp insurance provider. Additionally, if the injuries or occupational illness will prevent the worker from immediately returning to work (or the injuries will result in a permanent impairment), the DWC has to be notified. 14 days – If a claim is approved, workers compensation benefits should be paid within two weeks. 20 days – Insurance providers are required to accept or deny claims by this point and notify injured workers of the decision regarding their benefits claim. 30 days – Any changes to workers’ compensation benefit amounts or payments (based on, for instance, a doctor’s report regarding a whole-person rating or maximum medical improvement) must be documented and reported to the DWC. 60 days – Injured workers have to appeal decisions regarding their claims (for denied claims or insufficient benefits). 6 months – This is when a workers’ compensation claim can be closed if there has not been any activity with that claim over this time frame. In order to close a claim, an official petition has to be submitted by an insurer to the DWC. Contact an Experienced Denver Workers Compensation Attorney at Bell & Pollock, P.C. If you have been injured in a workplace accident, you can turn to a Denver workers compensation attorney at Bell & Pollock, P.C. for experienced help advocating your rights and pursuing benefits. At Bell & Pollock, our lawyers are proud to be champions of the people, providing injured workers with superior legal representation to help them maximize their benefits.